Dutch Prime Minister Mark Rutte has called Ankara’s sanctions against the Dutch government “bizarre” and said that the Netherlands has more reasons to be very angry with Turkey. “I continue to find it bizarre that in Turkey they're talking about sanctions when you see that we have reasons to be very angry about what happened this weekend,” Rutte told RTL Late Night on Monday. He noted that Ankara’s move to freeze diplomatic contacts with the Netherlands was “not too bad” but inappropriate. Over the weekend the Dutch government denied a landing permit to Turkey's foreign minister, who was due to deliver a speech — in support of April’s referendum to expand presidential powers in Turkey — to Turks living in the Netherlands. 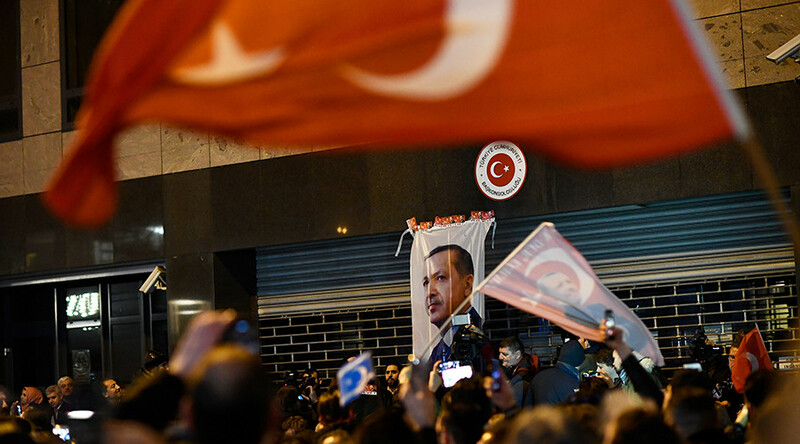 Later, another Turkish minister was prevented from not only giving a speech, but also entering the Turkish consulate in Rotterdam, where she was to address a crowd of Turkish President Recep Tayyip Erdogan's supporters. In response, Turkey severed diplomatic ties with the Netherlands, banning the Dutch ambassador from entering Turkey, halting diplomatic flights and suspending high-level government meetings. 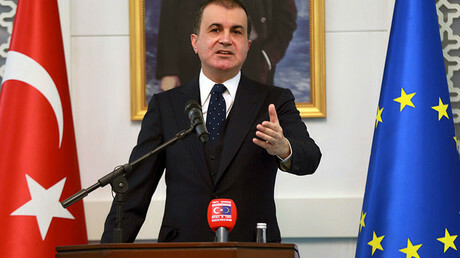 Turkish Deputy Prime Minister Numan Kurtulmus said the sanctions would apply until the Netherlands takes steps “to redress” the actions that Ankara views as a grave insult. Angered by the treatment of Turkish officials, President Erdogan over the weekend also compared the actions of the Netherlands and Germany – which also recently prevented Turkish ministers from addressing rallies – to those of Nazis. On Monday, Erdogan said Turkey will challenge the Netherlands in the European Court of Human Rights. While Ankara’s sanctions include freezing basically all diplomatic communications, they do not refer to economic ties between the two states. Rutte said this was “understandable,” as the Turks would harm their own interests if they put restrictions on trade with the Netherlands. The diplomatic spat between the states has overshadowed the upcoming Dutch national election to be held on Wednesday. It has also raised concerns that co-operation between Turkey and the European Union in general on a number of issues may now be shaky, especially regarding the refugee deal. Celik said on Sunday that the refugee deal with the EU may need to be re-evaluated. Rutte, however, seemed little impressed by these threats. “We hear [such threats] constantly, [yet] that deal is also in the interest of Turkey. We help taking care of Syrians in Turkey. We do something together in order to solve the bigger problem,” he said.